So, I was 35 yesterday. Hurrah for me. I spent most of the day under a pile of cake or having my glass of fizzy wine topped up, which is as good a way as any to spend a Monday. Today, however is the first day of my self imposed 35:35 Challenge. 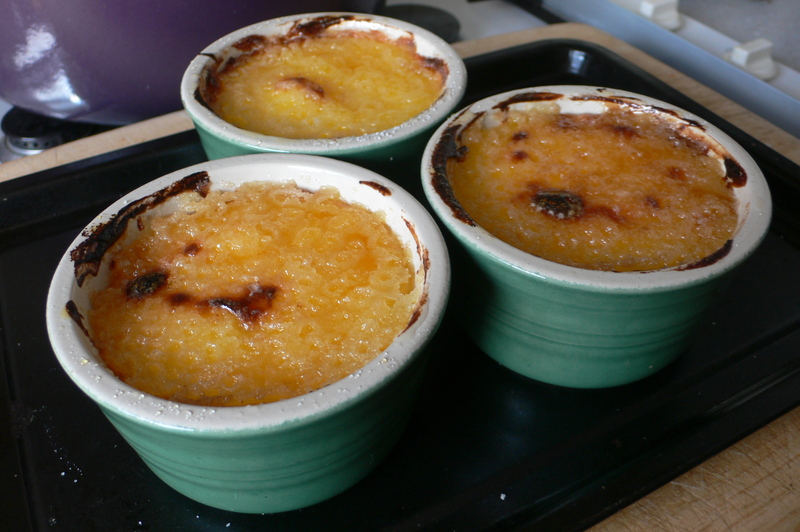 Despite plenty of more exciting suggestions, I decided to start small, with creme bruleé making. I used 6 egg yolks and so decided to make a bunch of meringues too ( an egg white omelette being just a touch too Hollywood for this house) so we can have lots of Eton Mess this week. I’ve been meaning to have a go at this particular dessert for ages, but the combination of custard making and boiling sugar made me a bit nervous, but today I managed to recover the custard after it threatened to split and then left them all to cool before adding the sugar to the top and caramelising with a cook’s blowtorch – one of the few things in the world that somehow manages to be both ordinary and terribly thrilling. I think they look pretty good. Any more ideas out there? Please let me know! Five Signs You’re a Multipotentialite. Wild Swimming and Body Confidence. The only downside was that I ate them ALL myself! !